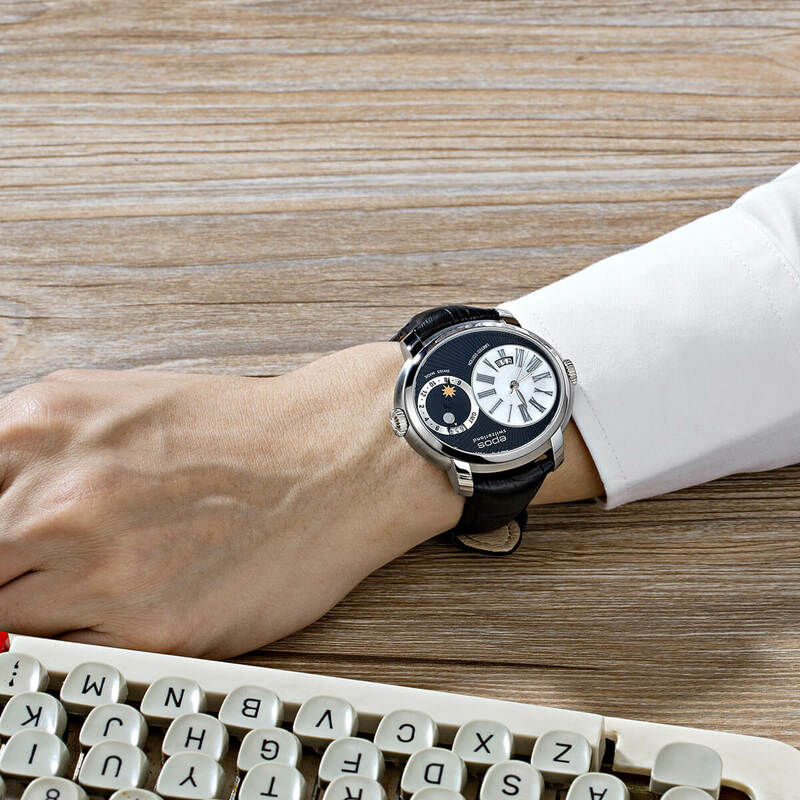 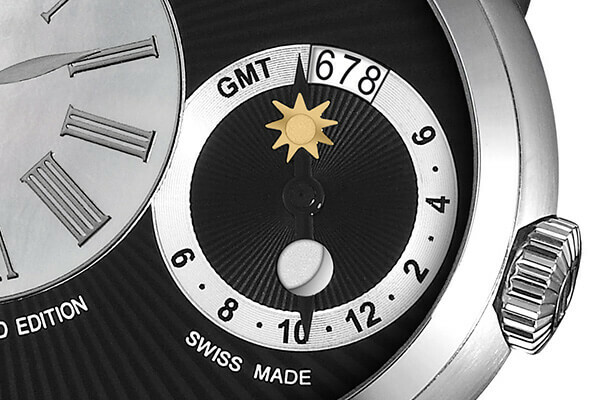 Limited Edition dual time zone watch with reverse 24 hours indication as second time zone. 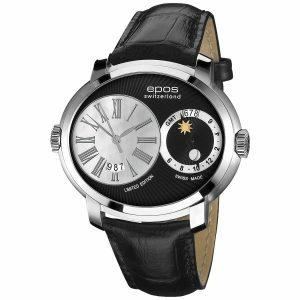 This Epos in-house modification is a dual time zone watch with reverse (counter-clockwise) 24 hours indication for 2nd time zone. 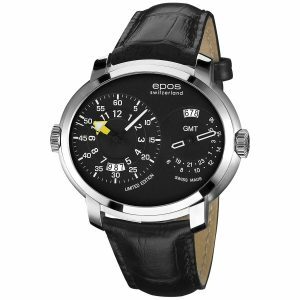 Based on two fully decorated ETA 2671 movements. 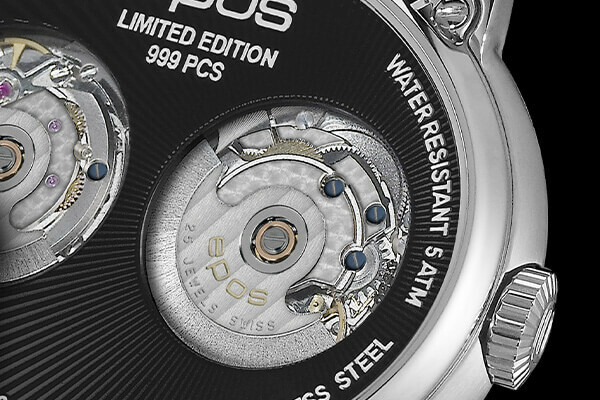 Beveled and polished, Côtes de Genève and Limited Edition number engraved on rotor. 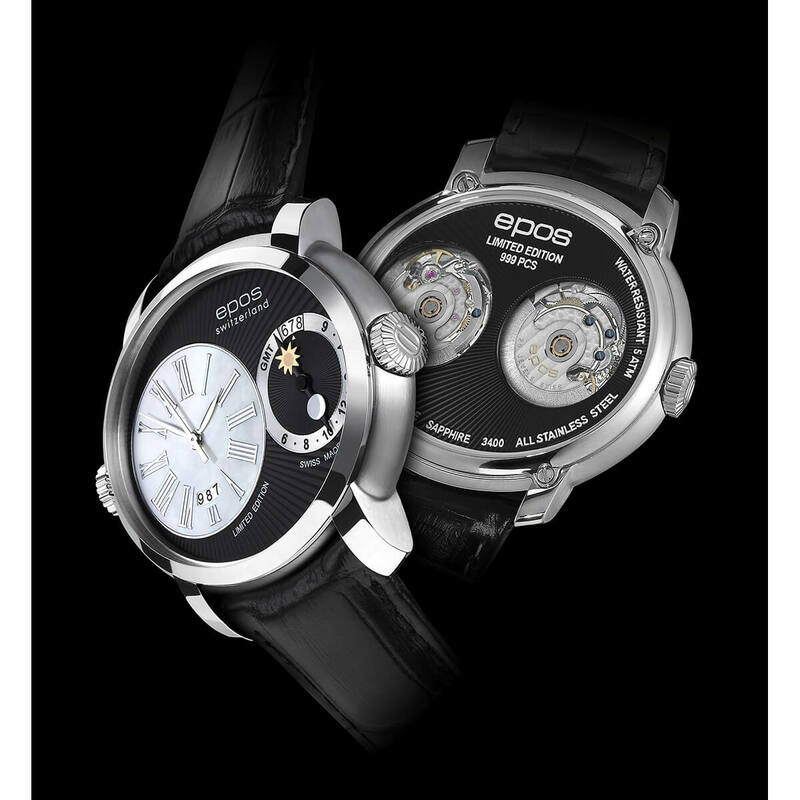 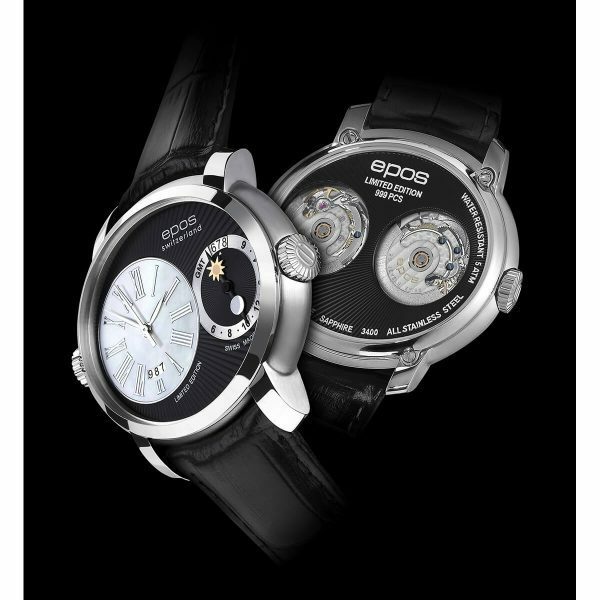 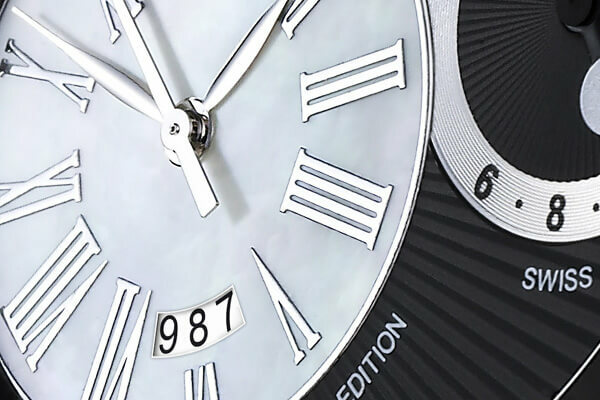 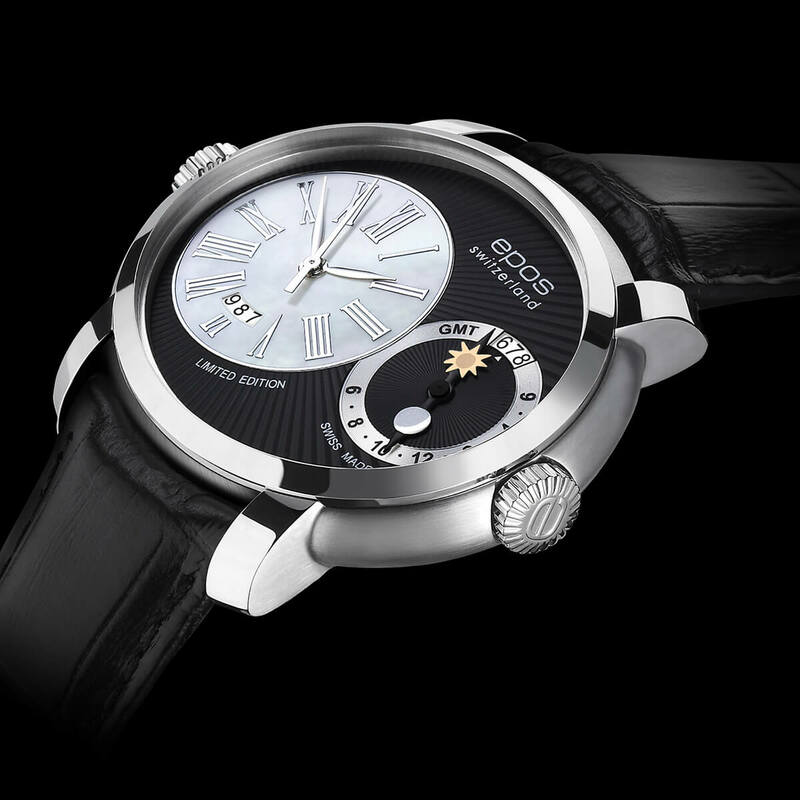 Multi-layered dial with sunray finish and embedded mother of pearl disk.